„From meeting the god Apollo in The Original Series, to the Roman-inflected Terran Empire in Star Trek: Discovery, Star Trek has always drawn heavily on ancient Greece and Rome for inspiration. 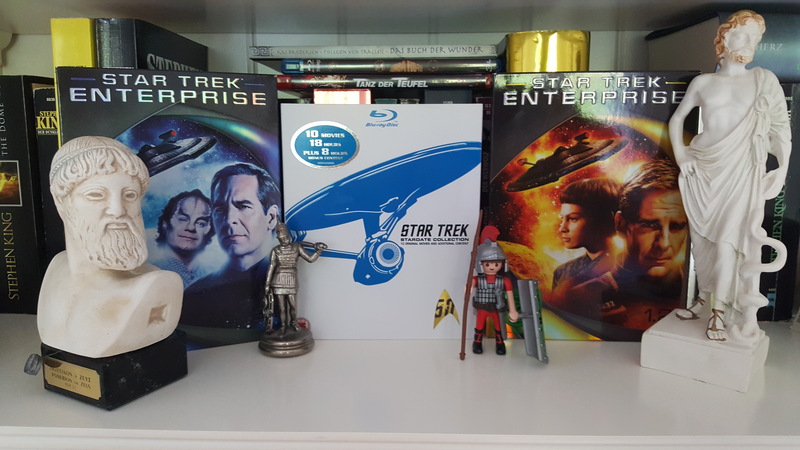 Since both Star Trek and Classics have been important parts of my life from a young age, I’ve decided to take a look at some of the more interesting way the franchise has engaged with the ancient world, whether through direct allusion or more subtle thematic patterning. In this first instalment, I begin by looking at the very ancient roots of one of pop culture’s most famous split infinitives. To explore strange new worlds. To seek out new life and new civilizations. To boldly go where no-one has gone before. This is, of course, the conclusion of the phrase that opens the credit-sequences of both the original Star Trek and Star Trek: The Next Generation. (1) This phrase not only describes the mission of the Starship(s) Enterprise, but also sets out the outlook of Star Trek as a whole: courageous exploration of the unknown, and the peaceful and scientific search for different species and cultures. who was driven far afield since he sacked Troy’s sacred city. as he strove to save his life and bring his comrades home. As these opening lines suggest, Odysseus can be seen as the prototype of most of the Star Trek captains. They describe someone who travels far across their culture’s “final frontier” – outer space for us, the uncharted seas for the ancients; who braves terrible dangers, always anxious for the safety of the souls under their command; who revels in discovering and learning about previously unknown creatures and societies. The strange lands Odysseus encounters sound much like worlds that the various Star Trek crews might (and in some cases, do) encounter. A place where people live in static bliss, under the power of a potent drug; a land of uncivilized giants, against whose brute strength only a cunning mind can prevail; a world ruled by a powerful being who can bend reality – and our intrepid captain – to her will. In its depiction of going beyond the known world and discovering new forms of life and ways of living, and its celebration of thought and language over force and violence, the Odyssey anticipates many of the themes that have made Star Trek so beloved. Its intelligent, eloquent, and dedicated hero Odysseus is in many ways the spiritual ancestor of Kirk, Janeway, Picard, and their fellow Starfleet captains. He [learnt] the totality of wisdom about everything. he brought back a message from the antediluvian age. he set down on a stele all his labours. (lines 7-10, translated by A. R. George). Here too we have a celebration of the hero as explorer, travelling great distances to uncover new knowledge. Gilgamesh has less in common with the heroes of Star Trek than Odysseus: he is a man who generally prefers brawn over brain, and rather than shepherding a crew through the unknown, in his adventures he is either solitary, or accompanied only by his beloved companion, the wild-man Enkidu. 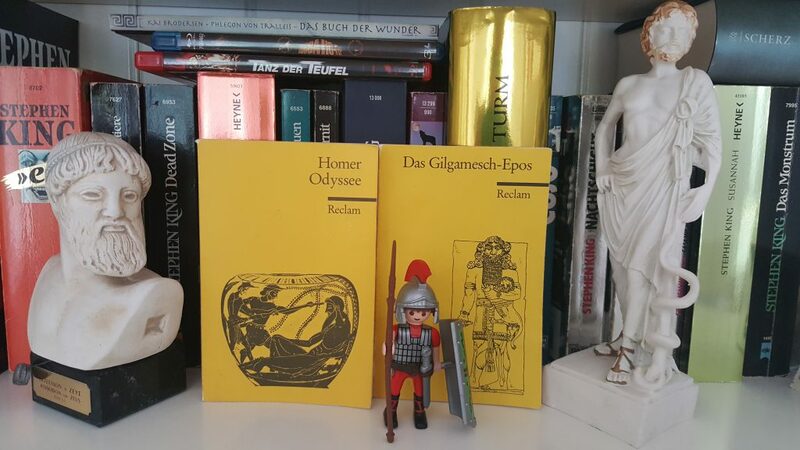 (2) Nevertheless, in its celebration of a hero who crosses space to bring back knowledge, the epic stands as the first celebration of the impulse celebrated in the Odyssey, in countless works of literature since, and in the various incarnations of Star Trek: the impulse to boldly go where no-one has gone before. In the preface to this post, I talked about “to boldly go where no-one has gone before” as “one of pop culture’s most famous split infinitives.” The fact that “to boldly go” is a split infinitive – that is, the adverb is between the “to” and the verb – has caused a certain amount of irritation, as there’s a widespread belief that this kind of construction is somehow wrong. Split infinitives are, however, a perfectly natural English form – they make perfect sense, and often (as here) sound better rhythmically than alternative forms. The only reason that split infinitives are criticised is due to attempts to make English grammar more like that of Latin and Ancient Greek. In those languages, the infinitive forms are a single word. English writers and teachers of past ages, having learned their grammar largely from Latin and Greek lessons, took to thinking about English infinitives also as single units, and therefore started feeling it was inappropriate to put anything inside them. But English is not Latin or Greek, English infinitives are two words, and really there’s no reason not to boldly split infinitives if you so desire. (1) The original Star Trek, of course, said “where no man has gone before,” but The Next Generation and most of the films updated it to a more inclusive form. Der zitierte Beitrag wurde ursprünglisch hier veröffentlicht, wo sich noch viele weitere spannende Artikel zur Antikenrezeption in Science Fiction, Horror und Fantasy finden lassen.